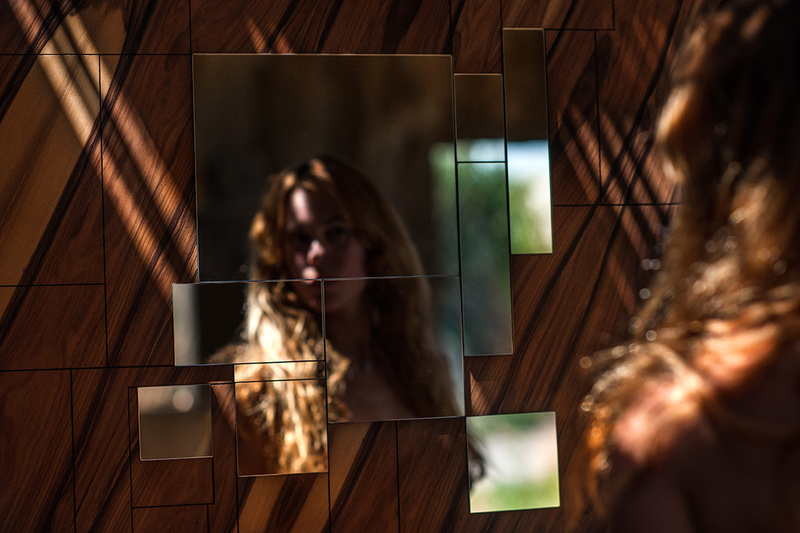 Wall Mirror made in Palo Santo wood - Amarist studio - Collector Furniture. 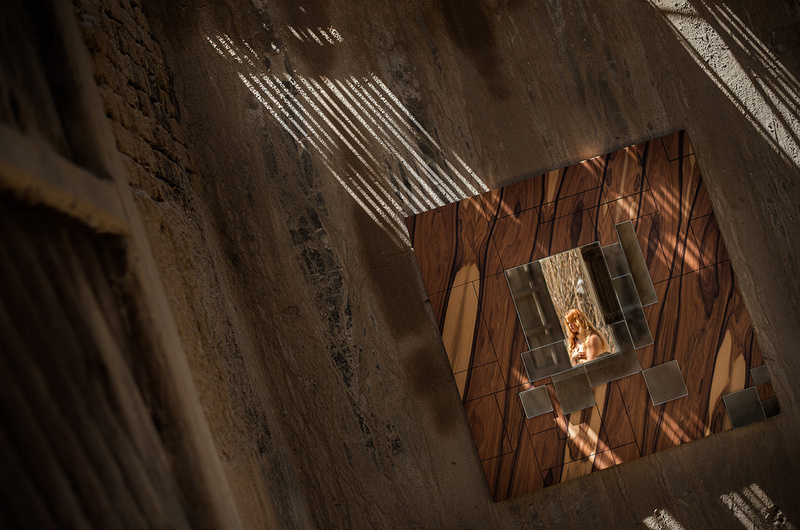 Alma mirror is a window to your inner soul. 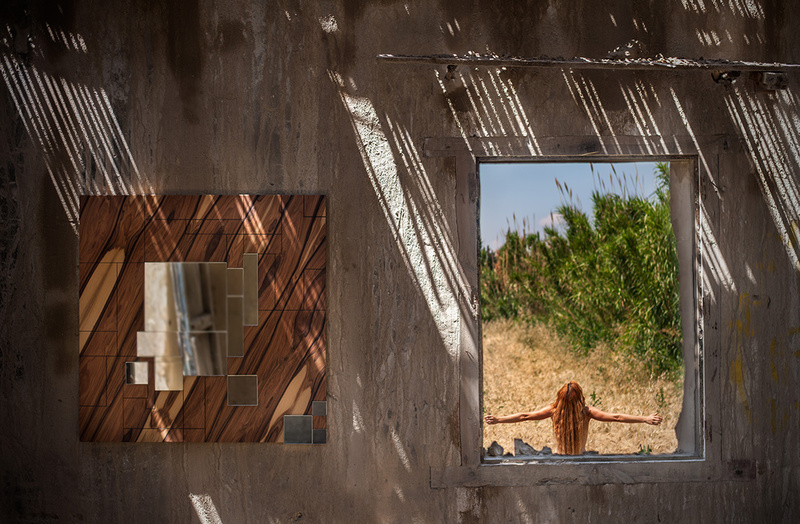 A unique piece that captures the reflections of our world embraced by nature. Alma is the research of the equilibrium between nature and human kind. 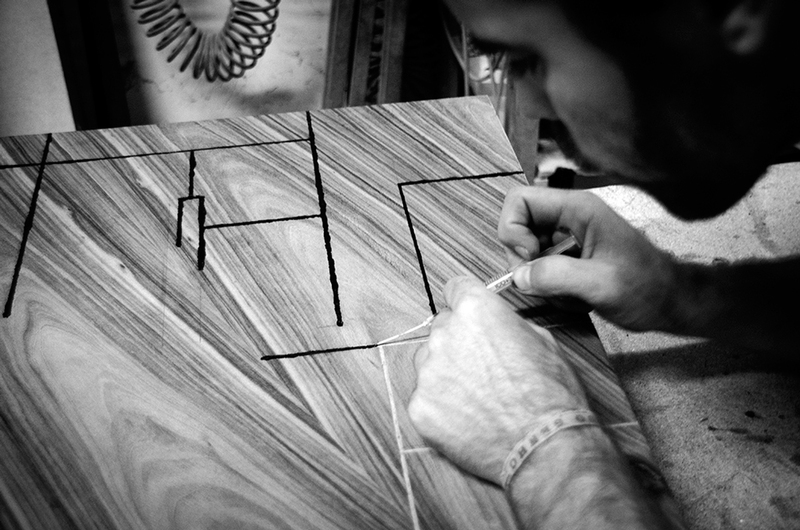 The heart of Palo Santo Wood, also known as Holy Wood, draws sinuous organic lines where the artisan carves deep right angles, symbolizing the continuous struggle between nature and human transformation. 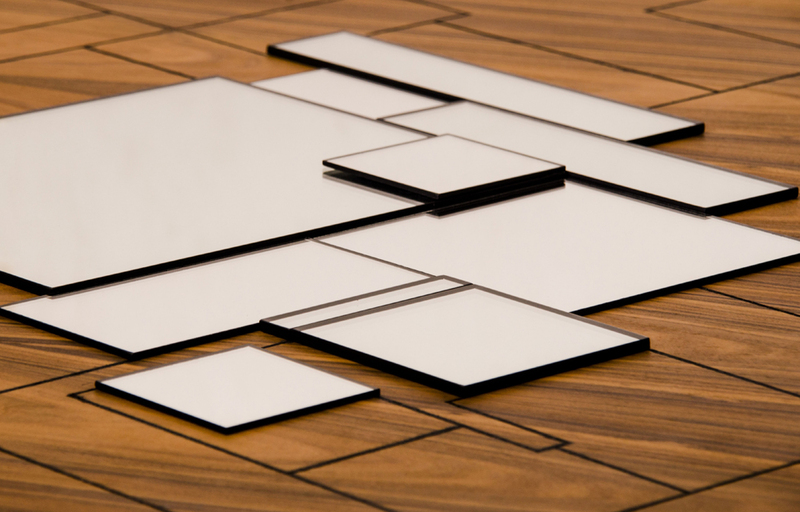 Both forces converge in a central composition of mirrors. 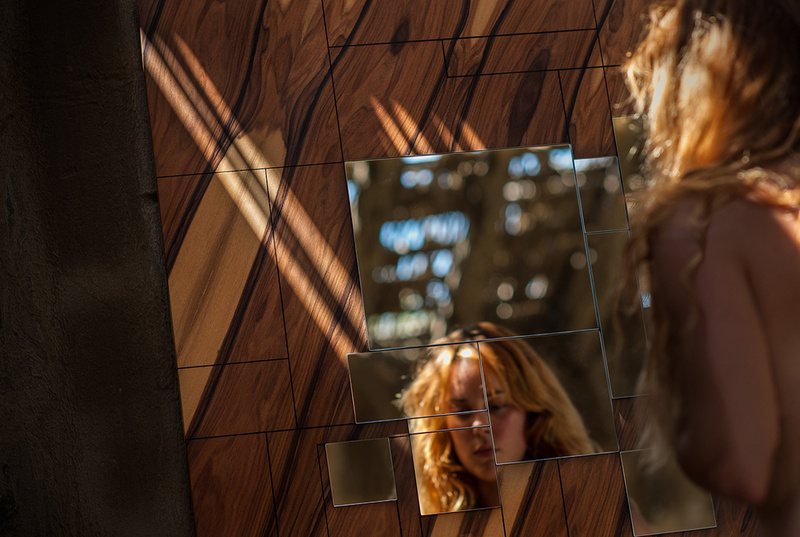 Materials: Palo Santo wood sheets, mirrors glass. 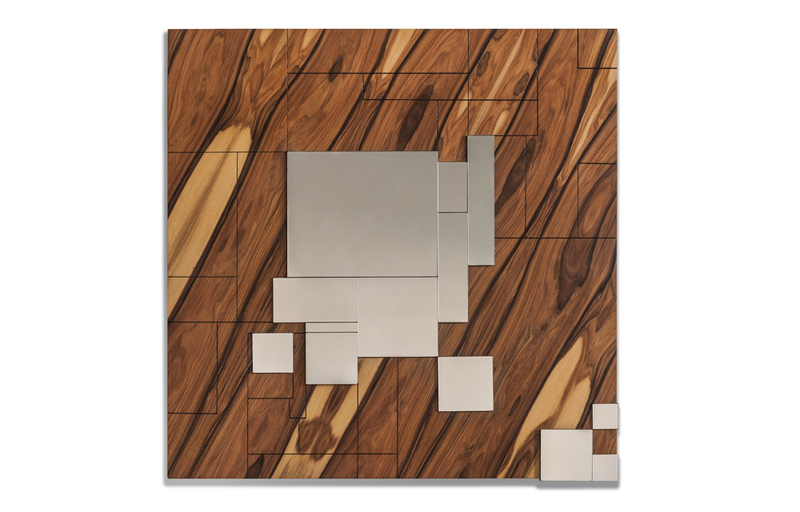 * The Alma mirror is made of veneers of natural wood, each piece can present a different finish due to the nature of the wood.